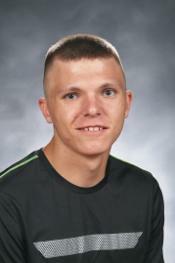 This month's OPS Student Spotlight focuses on Brett Hillabrand, a junior at Omaha Northwest High School. Brett talks about his interest in studying finances, how he wishes he could participate in more sports and why it’s important to save rather than spend. KIOS News Director Cheril Lee interviews Omaha Northwest Junior Brett Hillabrand.